Today was another great day – it was TWIN DAY! 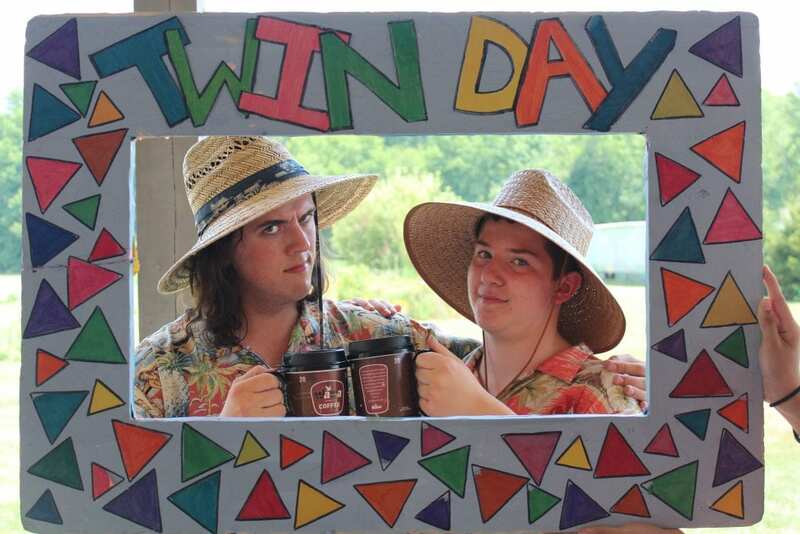 With spirit week going strong, campers and counselors dressed as a friend on camp – some twin pairs were so well matched, it was like they could actually be siblings! Tonight we gathered in the theatre for the highly anticipated CIT Showcase! Our CITs have been working on their Guided Study projects, with their staff mentors, since they arrived in June. These projects are the culmination of a lot of hard work and creativity. We enjoyed visual art in the lobby, and a variety of performances – everything from original compositions to beautiful pieces of writing. Our Appel Farm CITs are incredibly talented, and it’s always a joy to see how much they’ve grown in the years since they came to camp. Tomorrow we’re looking forward to another beautiful day, and some super fun Bunk Area Activities tomorrow night!